Our St. Augustine location is at 1092 S. Ponce de Leon Blvd Suite K, St . Augustine, FL 32086. 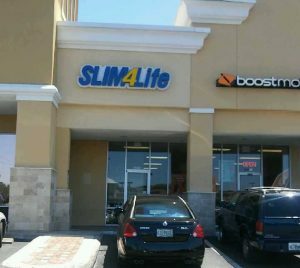 The St. Augustine office is located in the Winn Dixie Plaza on t he corner of Rt. 207 and US 1, across from the Metro Diner, right next to Boost Mobile. The caring, high energy staff at St. Augustine has the knowledge to guide their clients through our rapid results weight loss program! They are ail dedicated to each individual’s success by providing a tailored plan for each person. They cannot wait to help you start your journey to lose 10, 20, 50 or 100+ pounds! Call them today, get results tomorrow! Make an appointment at our St. Augustine weight loss center today!